A lot of companies are showing off some really amazing products at CES this year, but one that excites me the most is Lenovo’s new VR headset. If you’re thinking this is yet another contraption that either only works with high-end PCs, or with smartphones that are branded with the ‘Daydream’ tag, you couldn’t be more wrong. 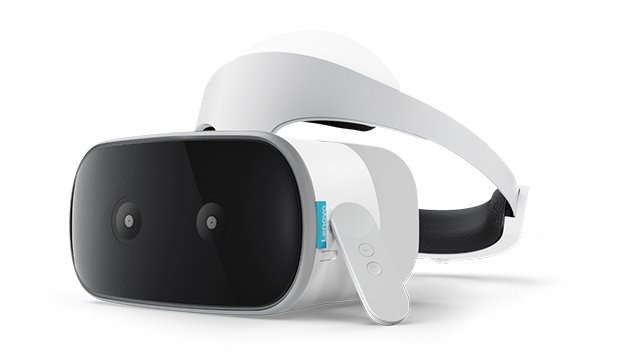 The ‘Lenovo Mirage Solo’ is a Daydream headset, true, but one that works without any smartphone whatsoever. So if you skipped out on buying the Pixel, the Pixel 2, or the half a dozen or so Daydream capable smartphones out there, this will satiate your desire to experience Google’s version of Virtual Reality. The ‘Mirage Solo’ is the VR equivalent of a plug-and-play USB mouse. You just pop it in place (on your face) and you’re good to go. The headset uses Google’s ‘WorldSense’ technology to do the magic, and if Lenovo’s and Google’s claims are to be believed, it’s awe-inspiring. According to Google, since the headset uses WorldSense, users will be able to perform a ton of new actions that would otherwise be impossible on the Daydream platform. 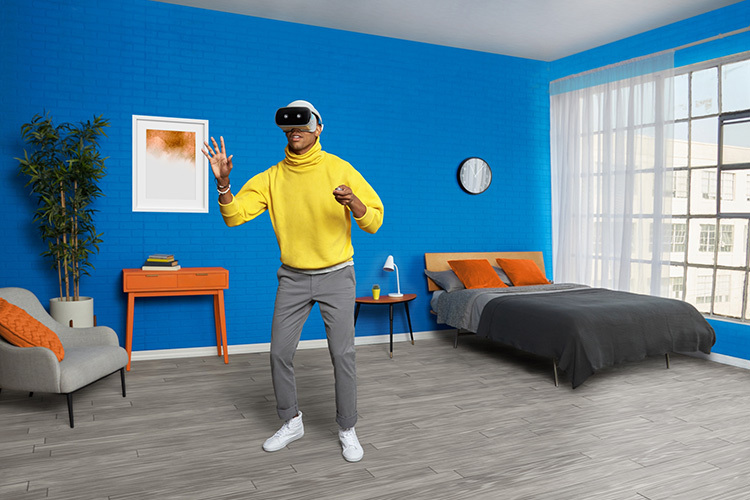 Users will be able to duck, dodge, lean, step back and forward and even side to side — the headset will be to track movements in 3D space, and WorldSense is smart enough to ensure the VR objects stay in place, just like they would in the real world. 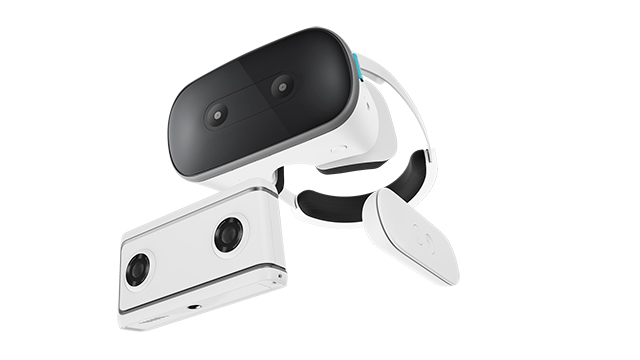 That’s not all, though; the Lenovo Mirage Solo also comes with the capability to capture 180 degree VR videos, so you can record your memories in Virtual Reality, in 4K, with a result that Google says is “far more immersive than what you get with a traditional camera” — we’ll have to check that claim when we get our hands on this headset. Inside, the ‘Mirage Solo’ is a daydream (pardon the pun) in and of itself. It is powered by a Snapdragon 835 processor, and 4GB of RAM, allowing developers plenty of resources to develop great apps. If you’re as excited about this as I am, slow your roll. Lenovo hasn’t announced a price for the ‘Mirage Solo’ yet, and even then, the headset is set to be available only during the second quarter of this year, so there’s that. Other than that, this headset looks awesome to me, and I can’t wait to try it out. Looking like a robot from the future while giggling excitedly is what I dream of.